“Good morning Dr. Serdev, I hope everything is going well. All went smoothly for me [after lower face and cheekbone lifts] – no one noticed or questioned me :D. I see some improvement and I like it. Could we do more sometime next year?” – testimonial from December 2018. 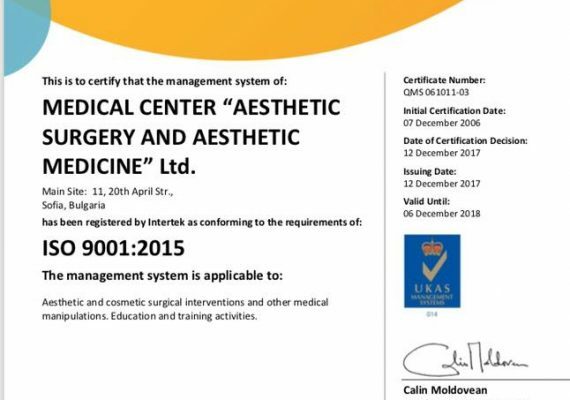 The ISO 9001:2005 Certificate of Serdev Clinic is applicable to aesthetic and cosmetic surgical Read more!